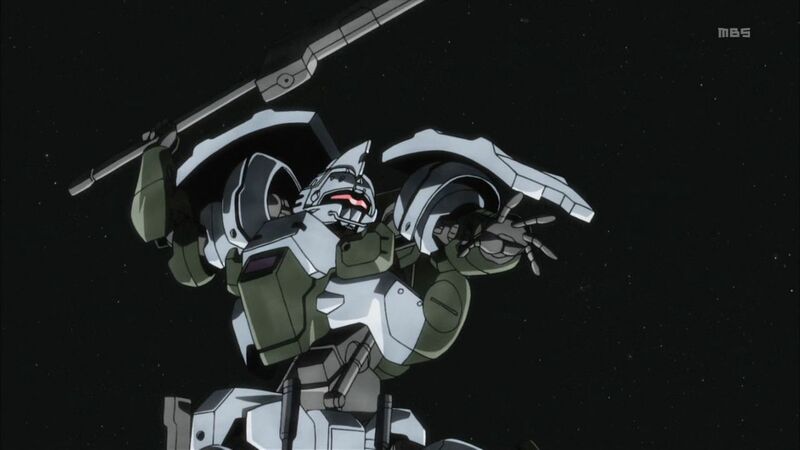 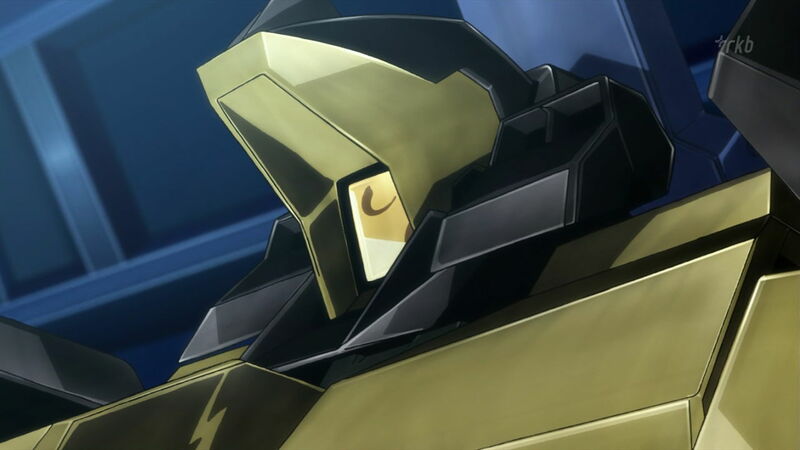 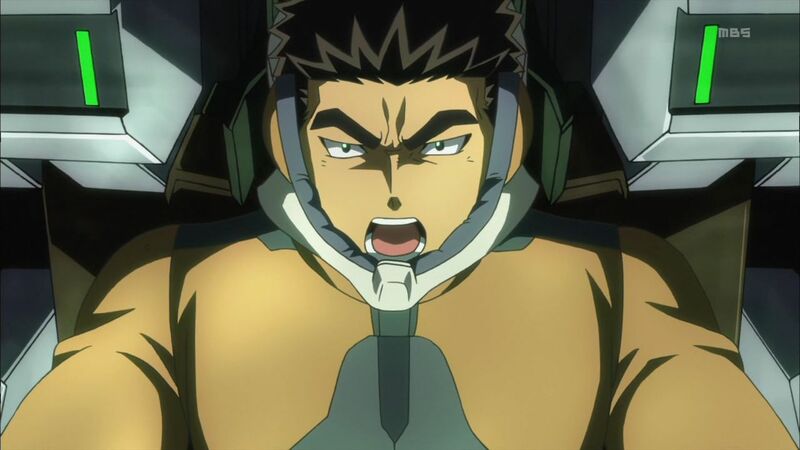 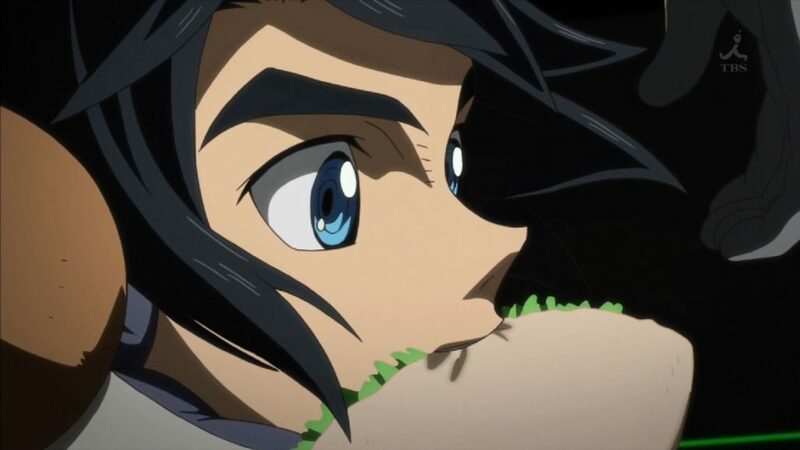 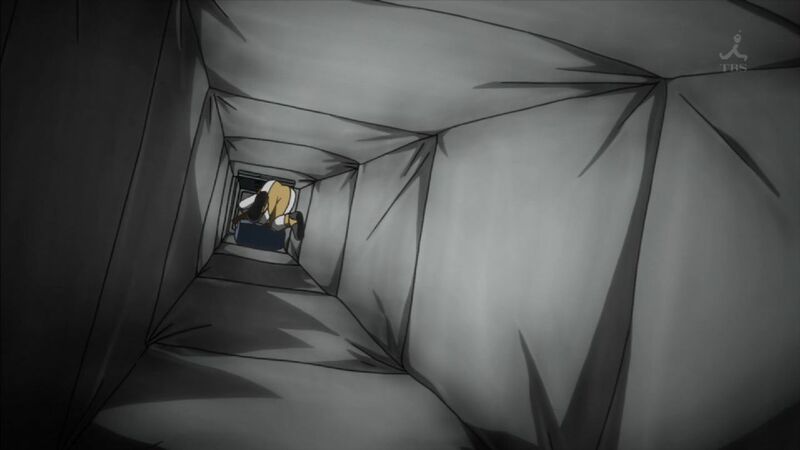 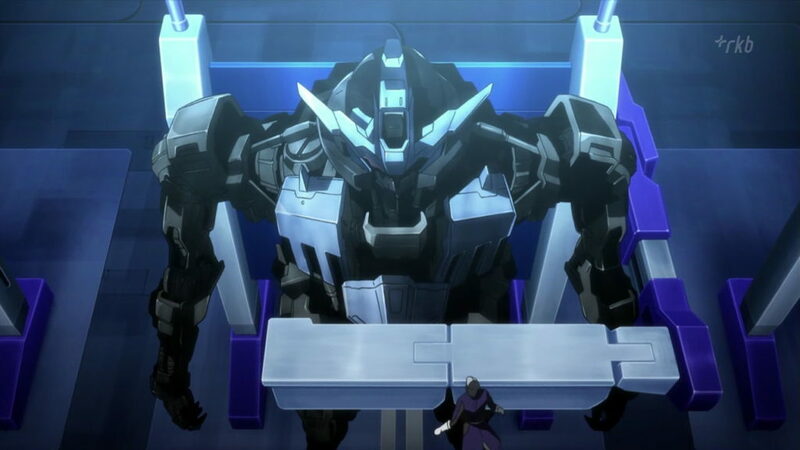 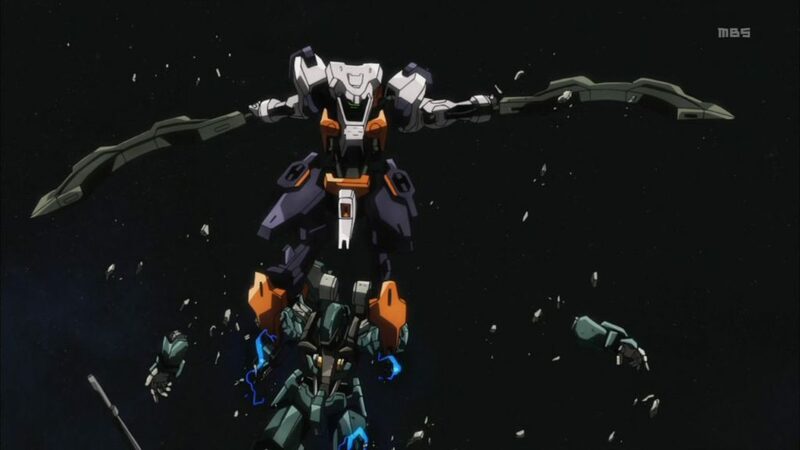 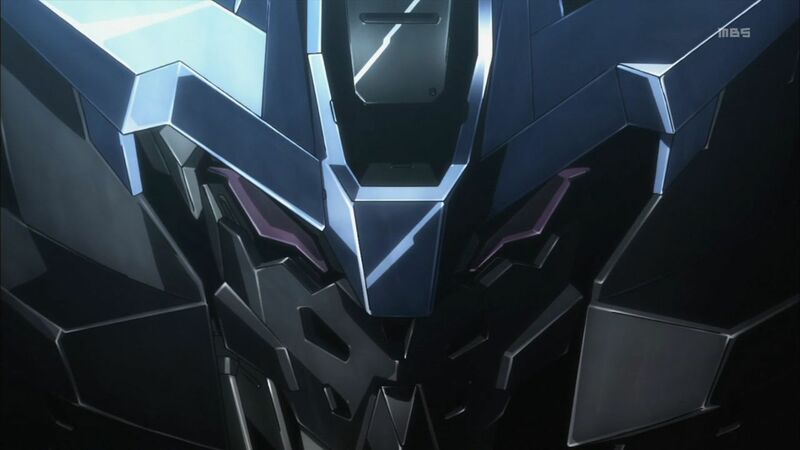 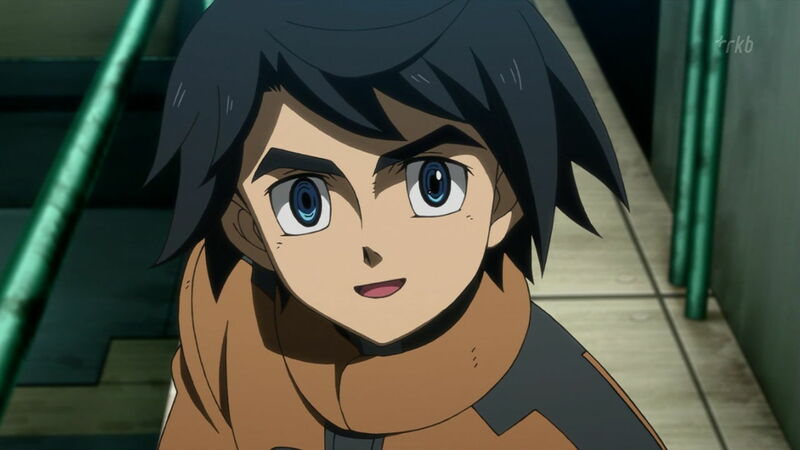 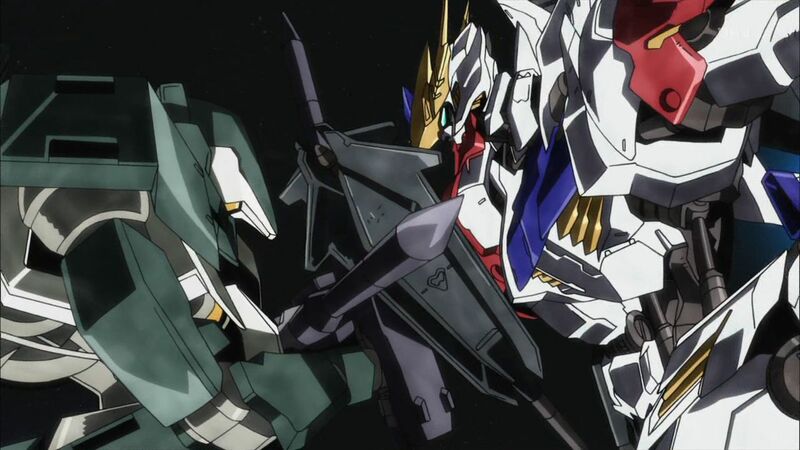 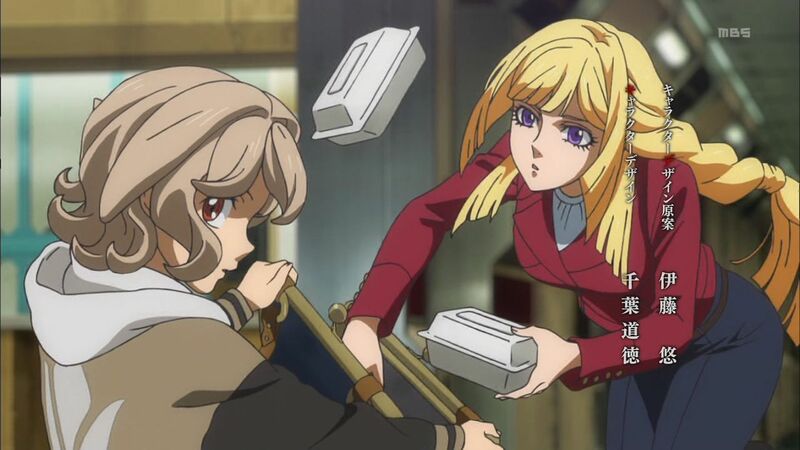 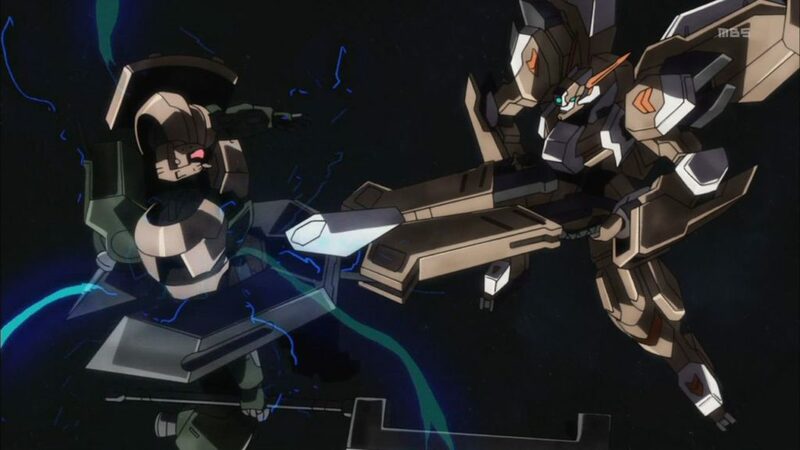 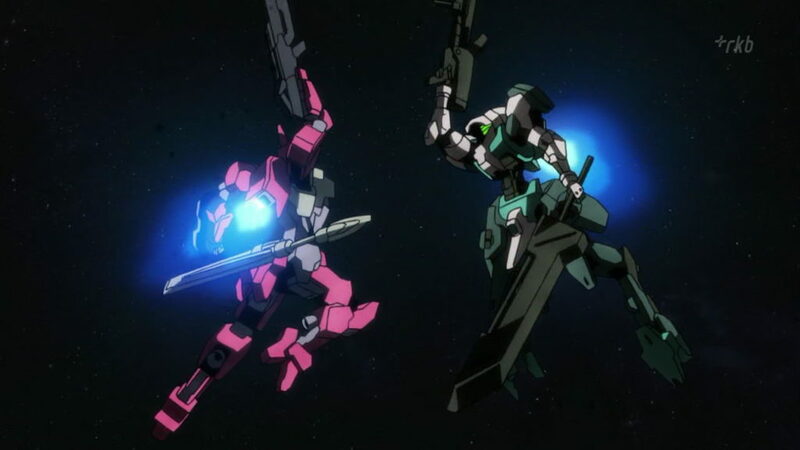 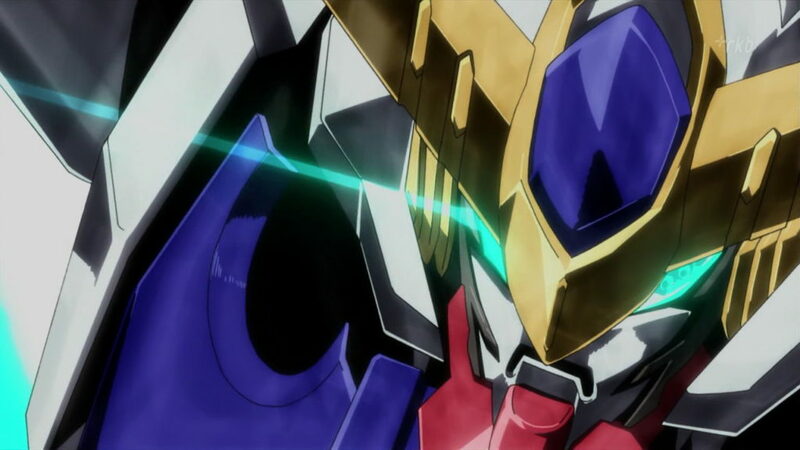 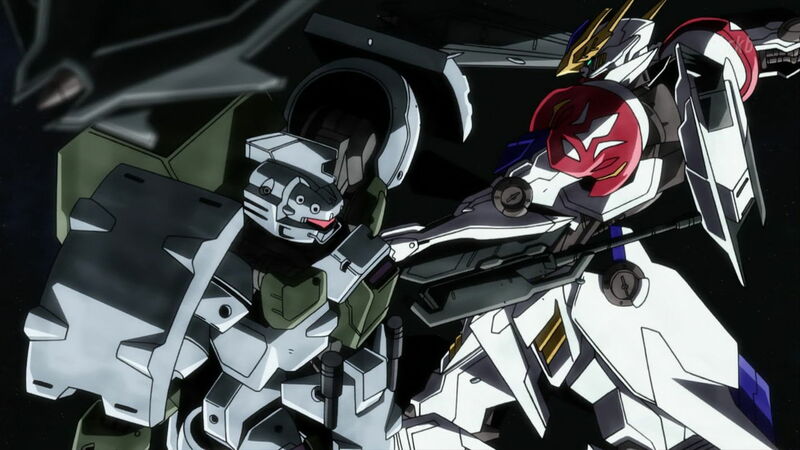 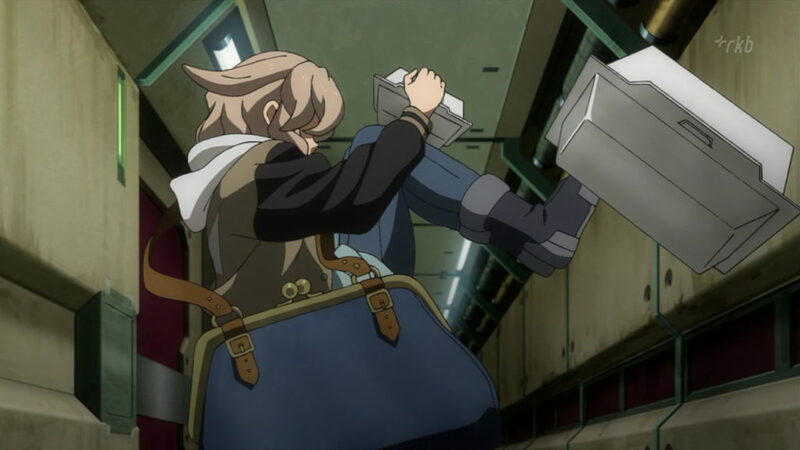 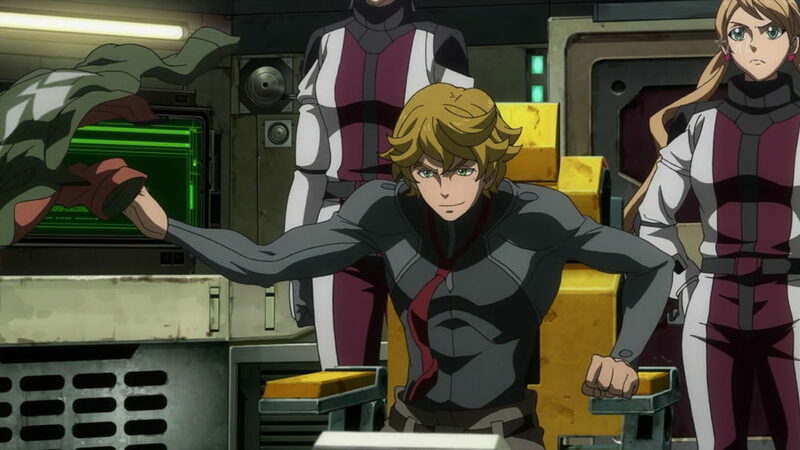 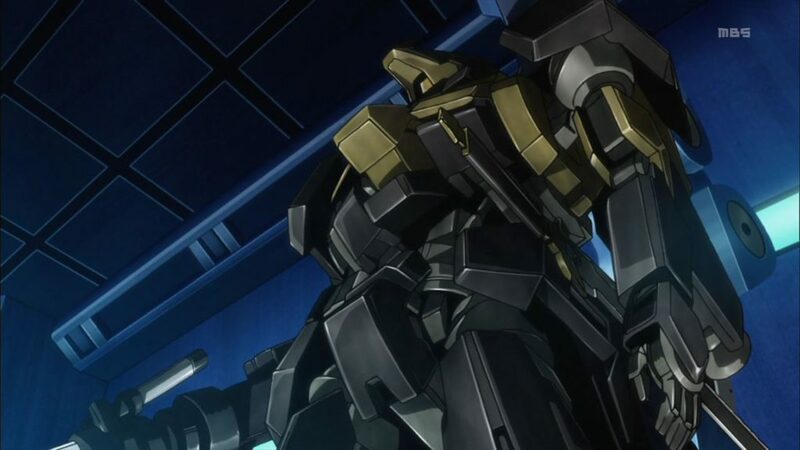 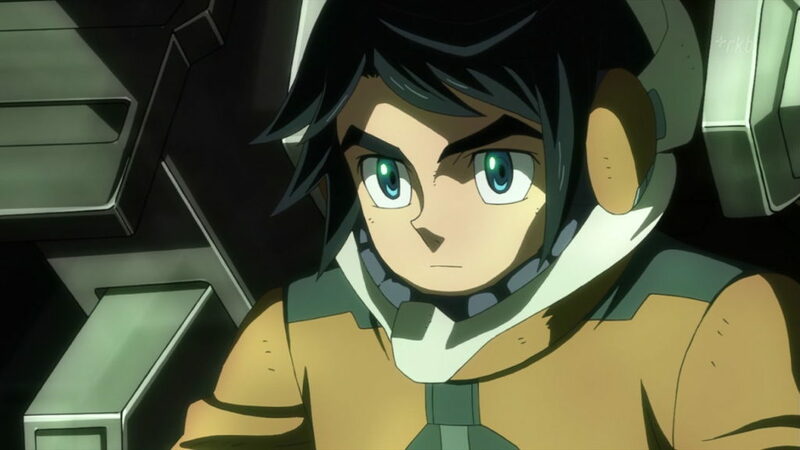 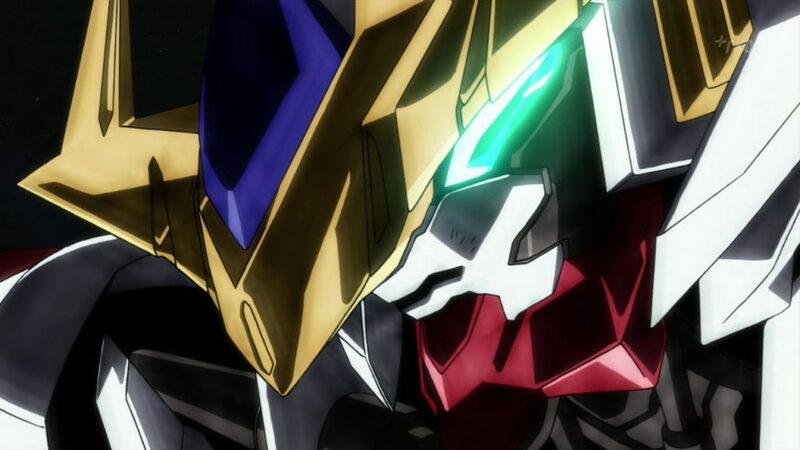 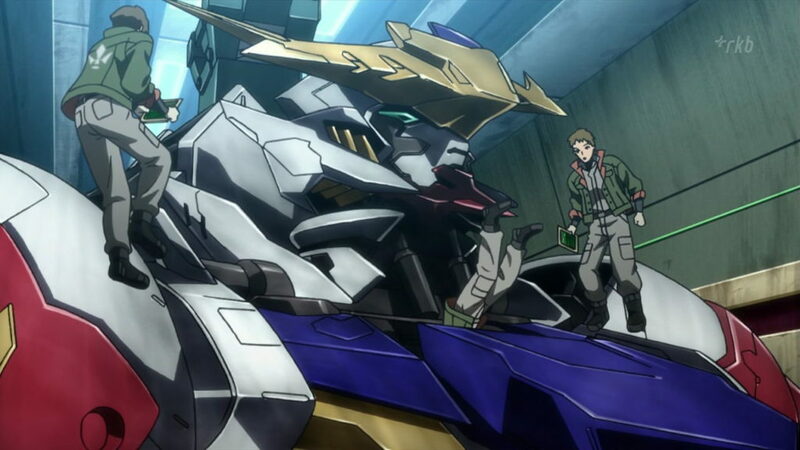 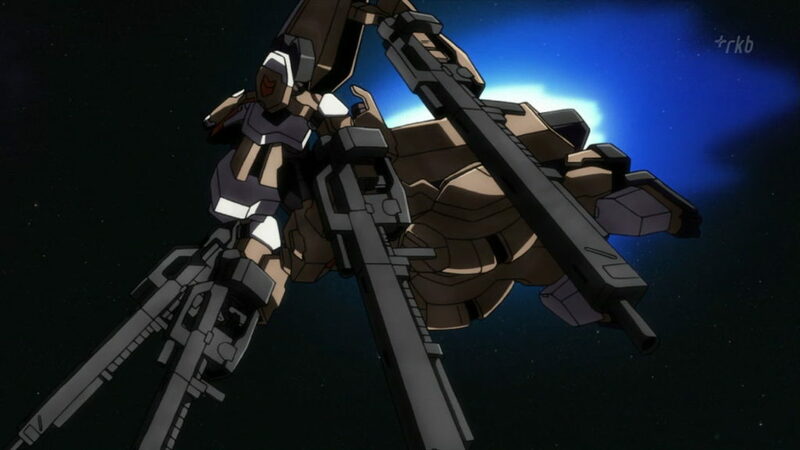 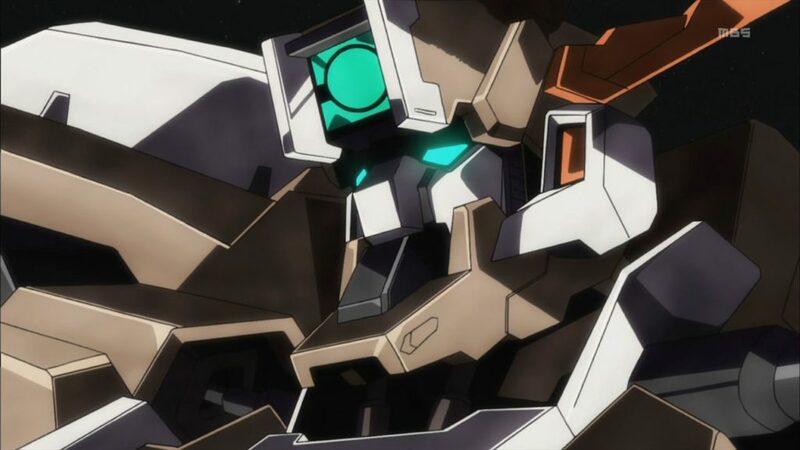 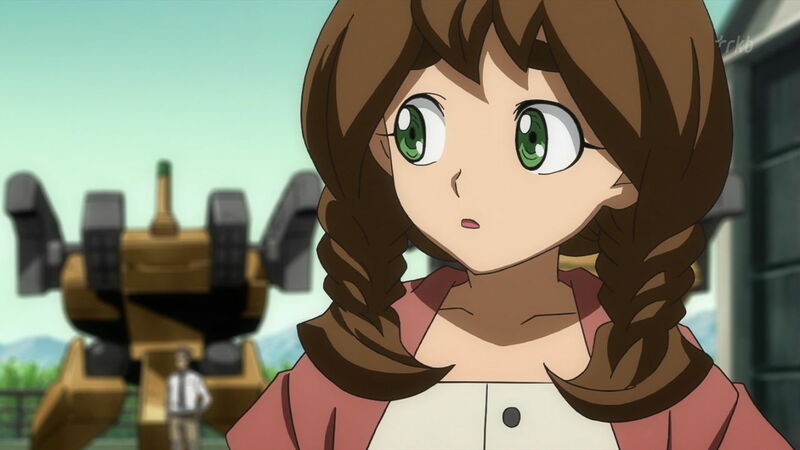 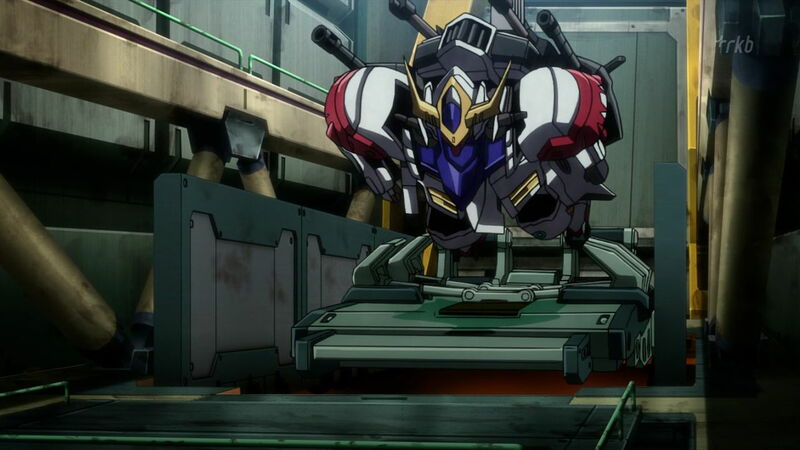 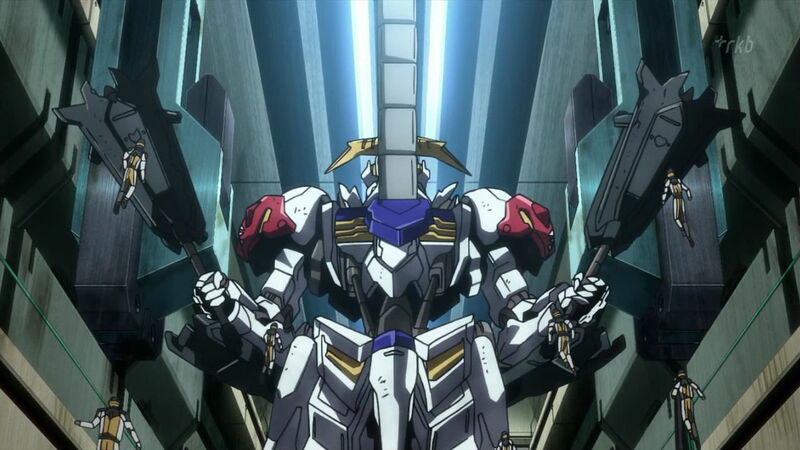 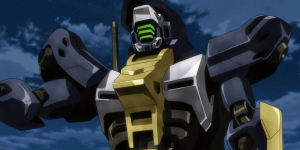 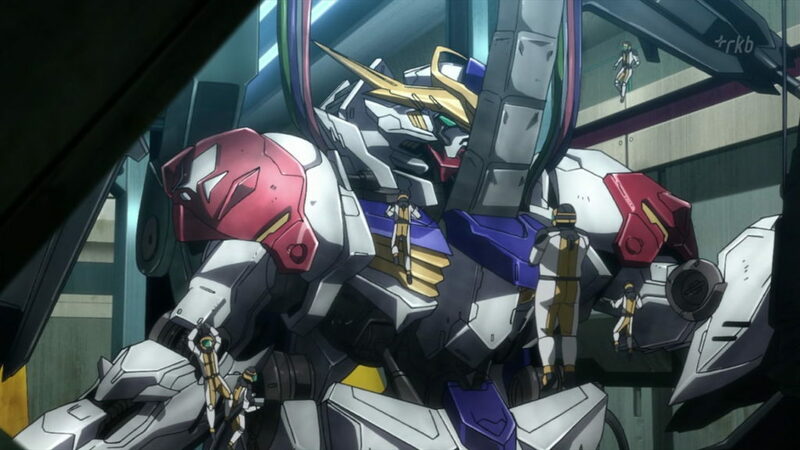 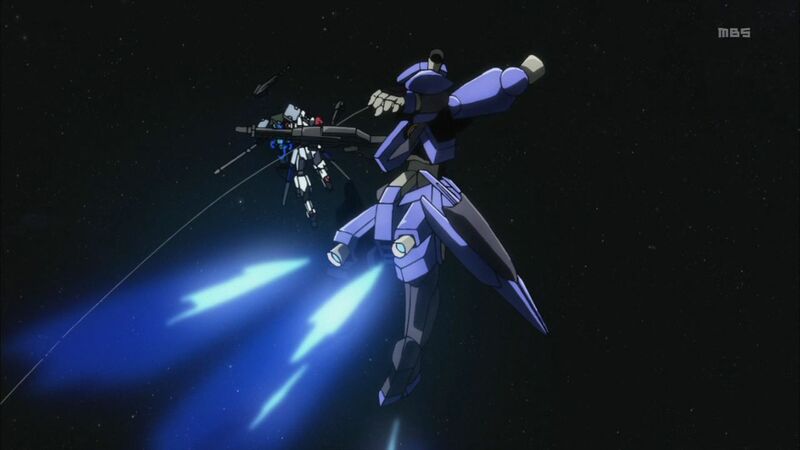 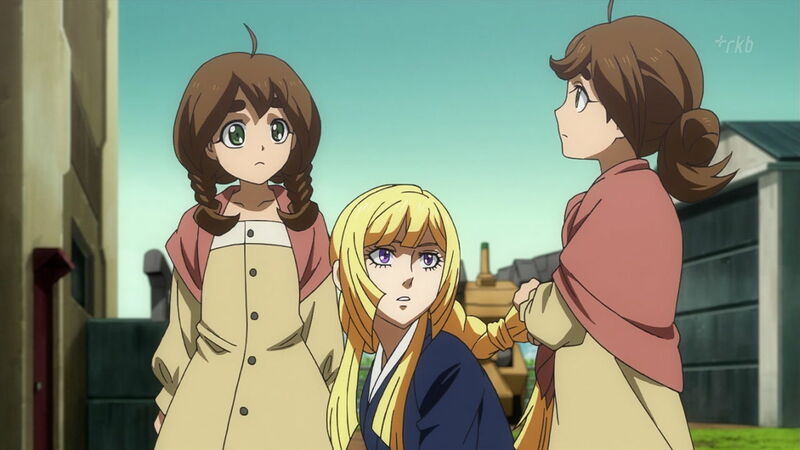 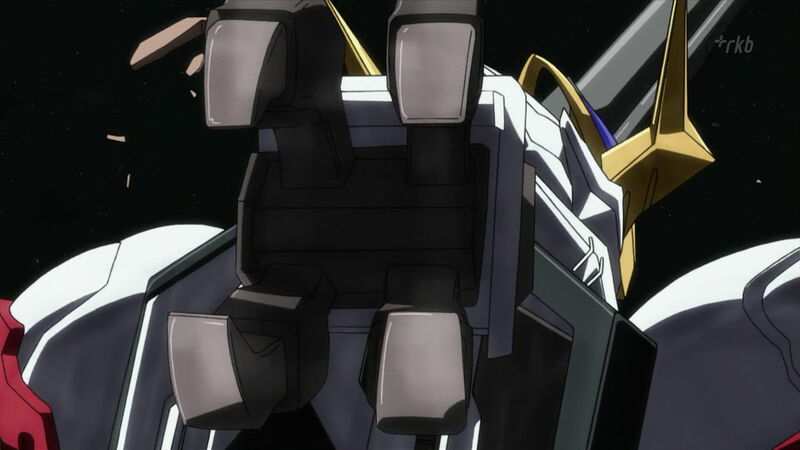 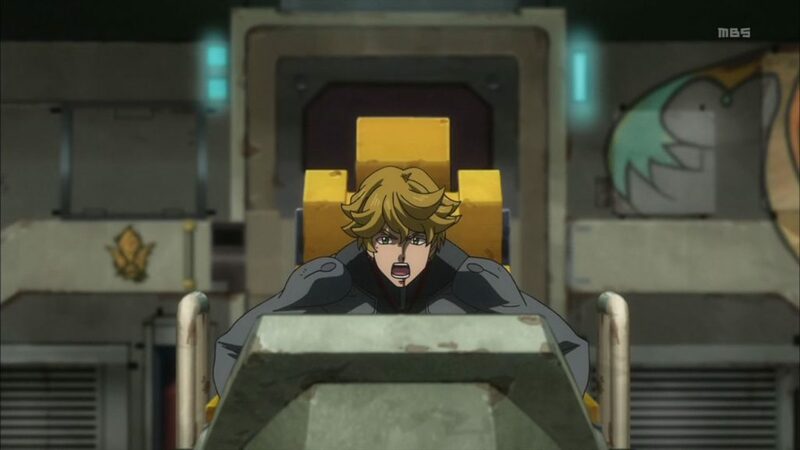 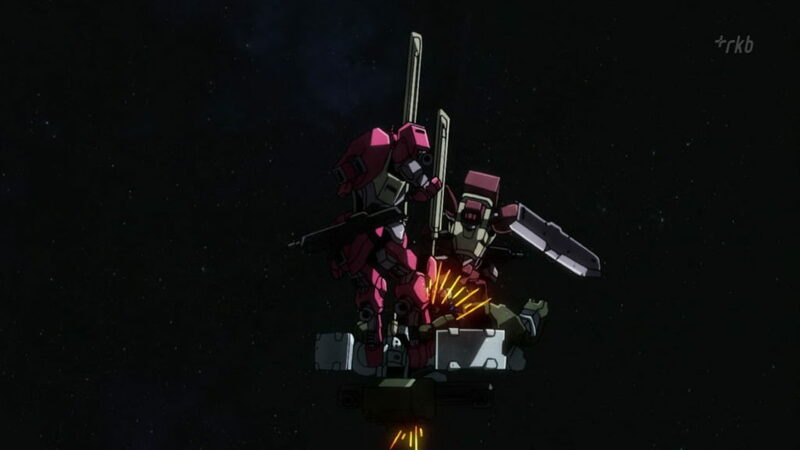 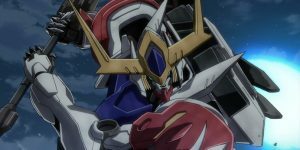 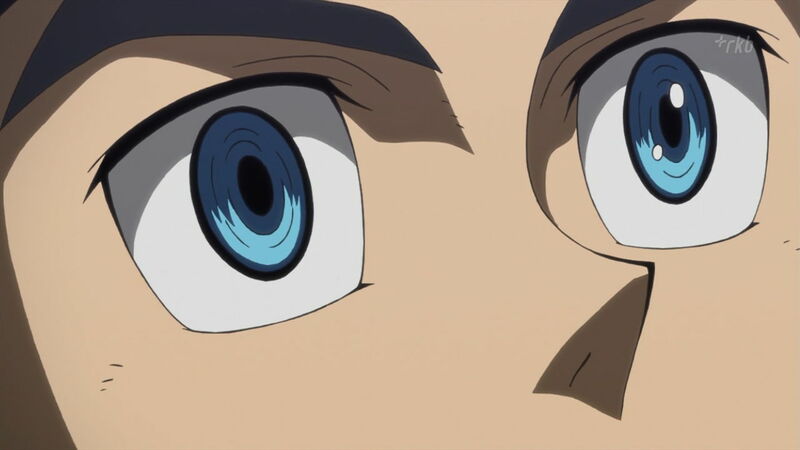 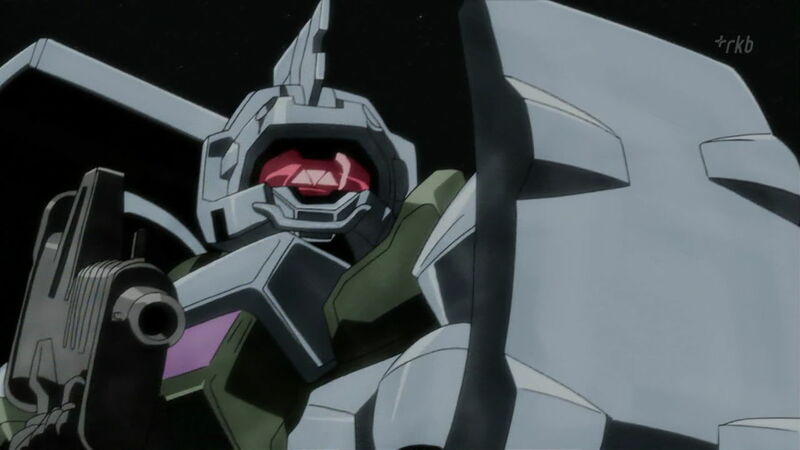 Gundam Iron-Blooded Orphans 2nd Season: Episode 28 BATTLE BEFORE DAWN. 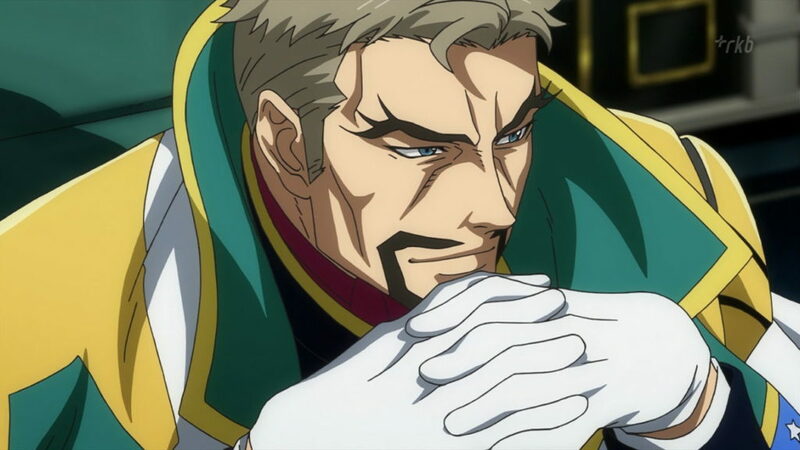 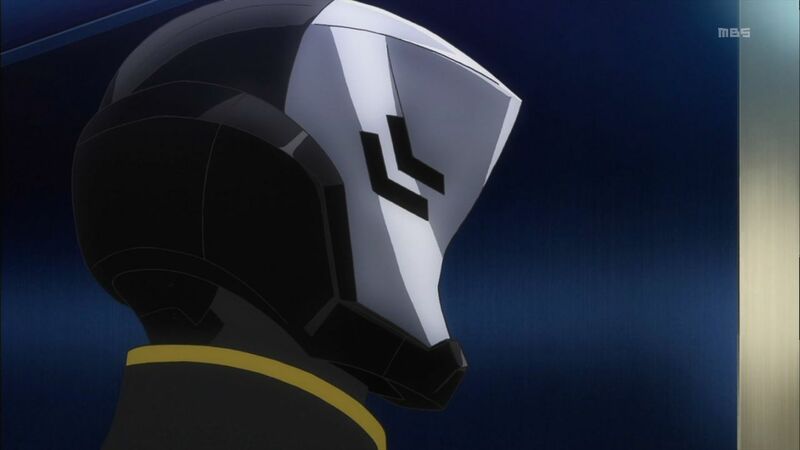 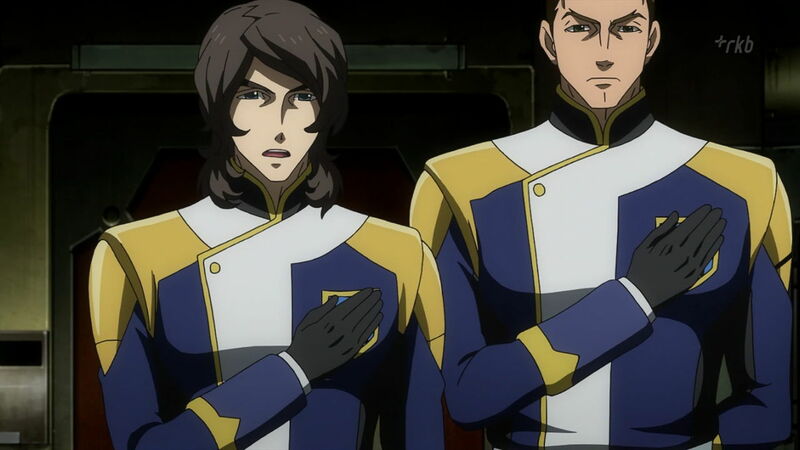 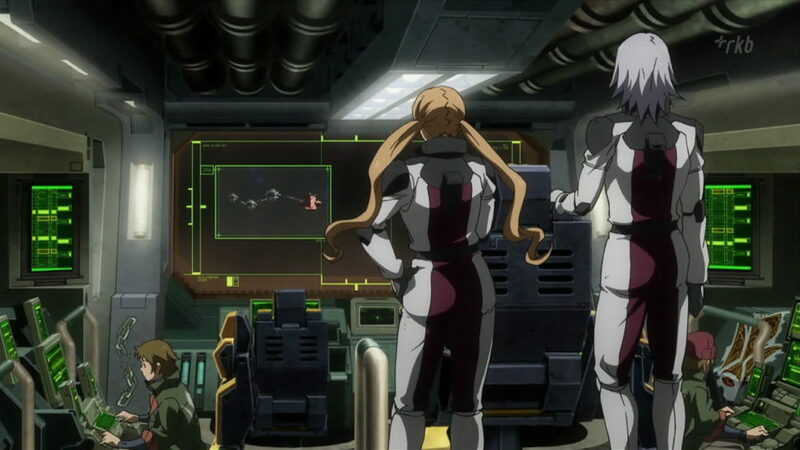 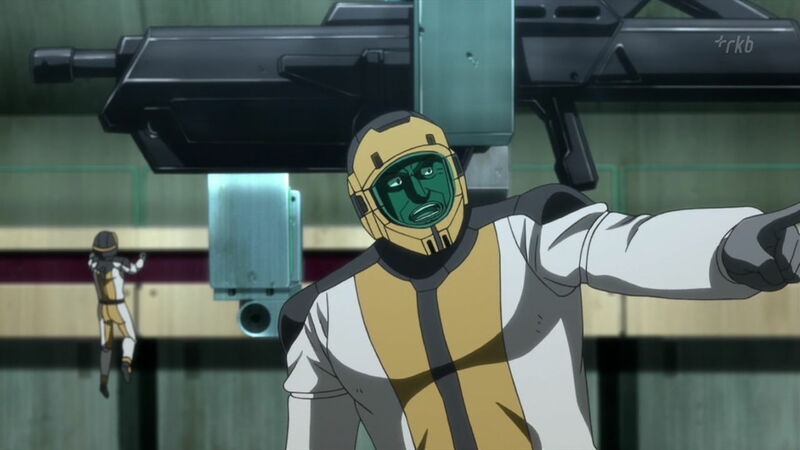 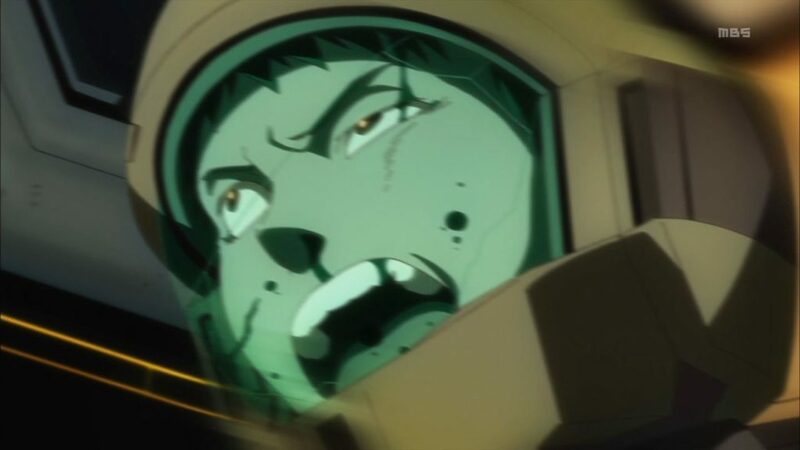 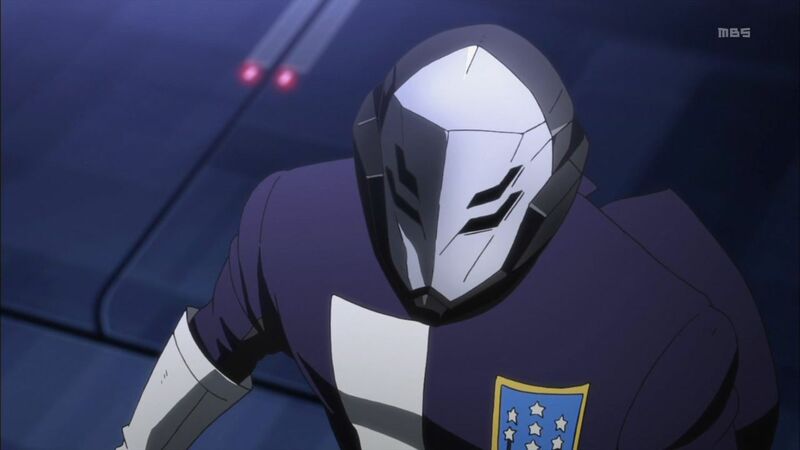 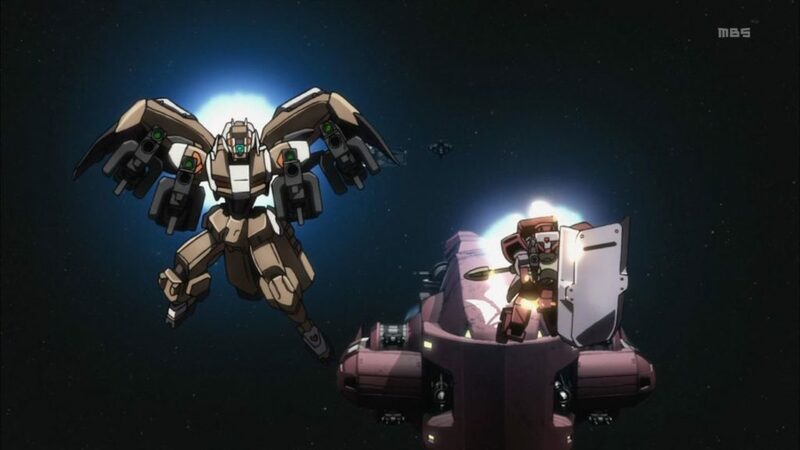 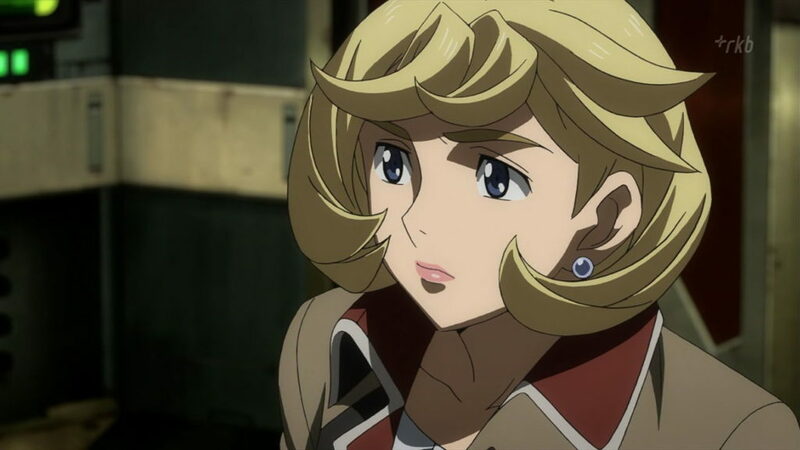 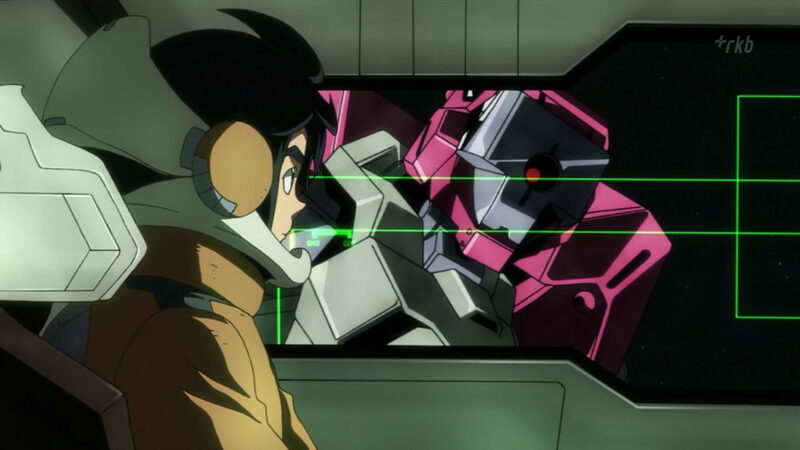 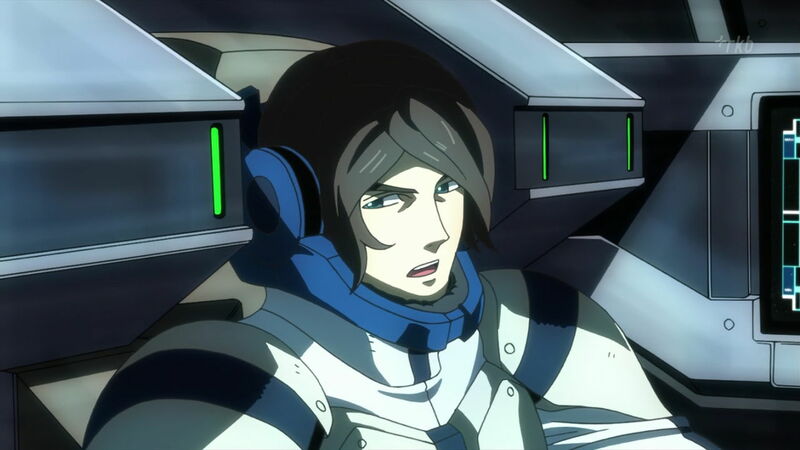 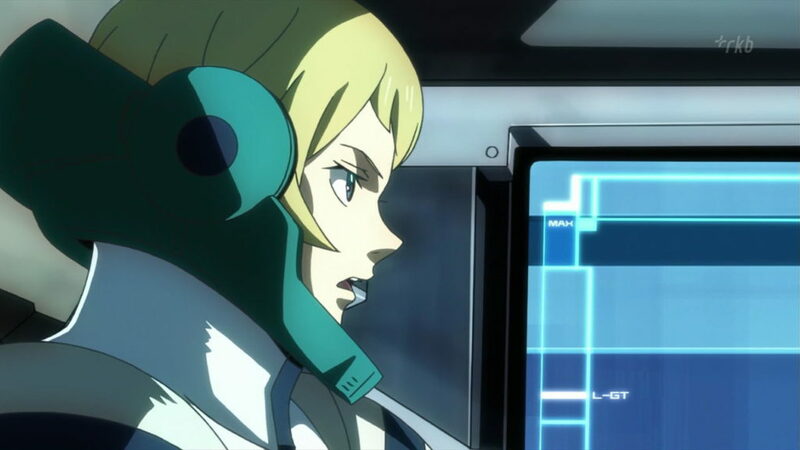 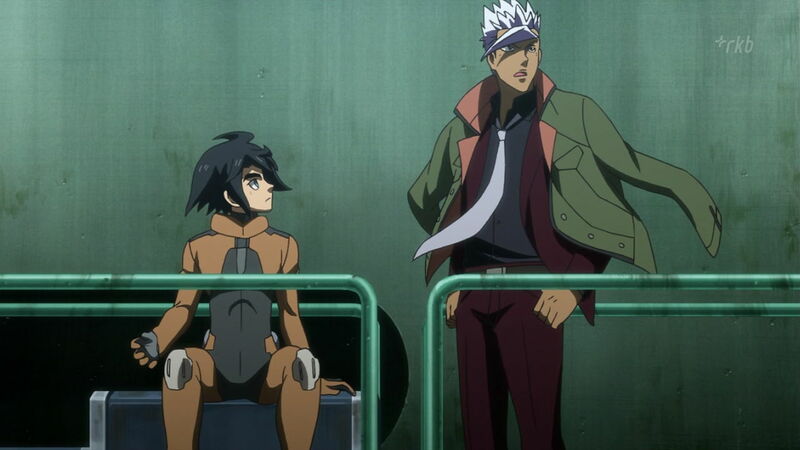 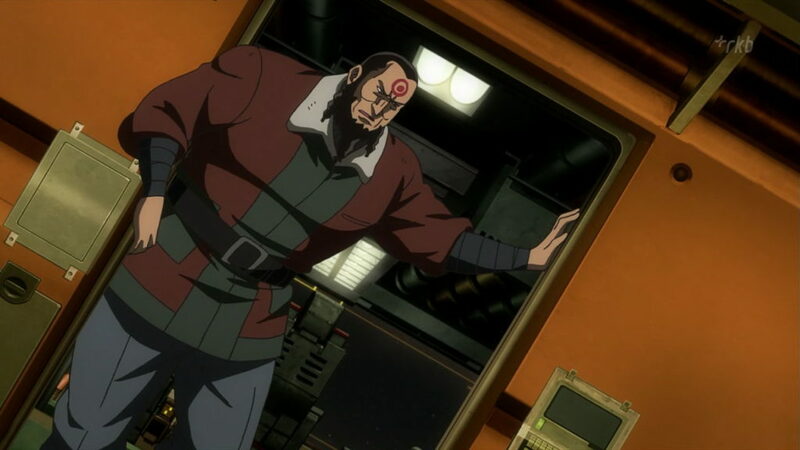 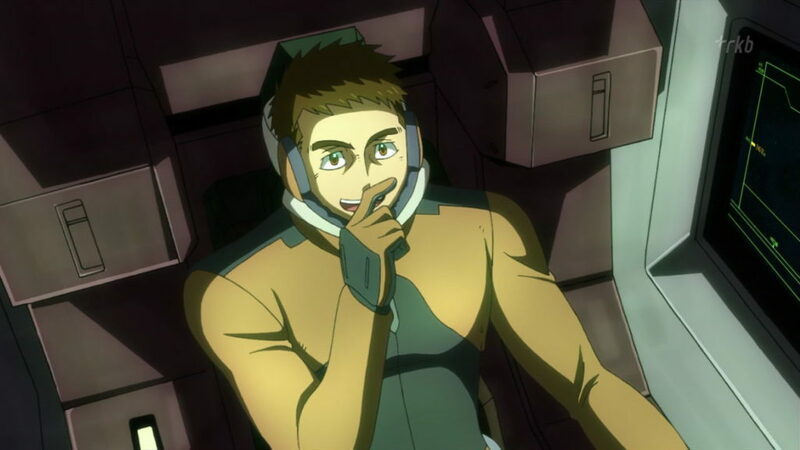 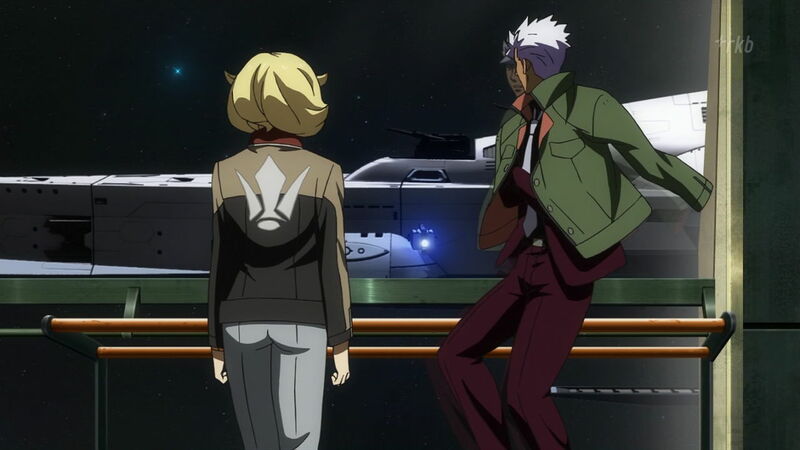 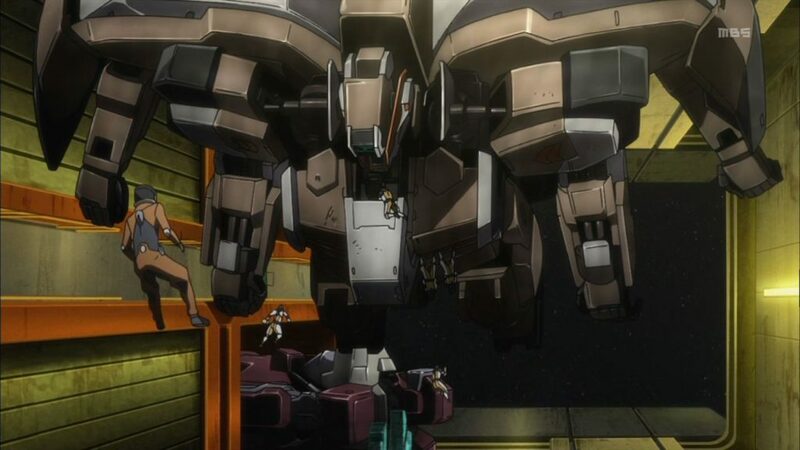 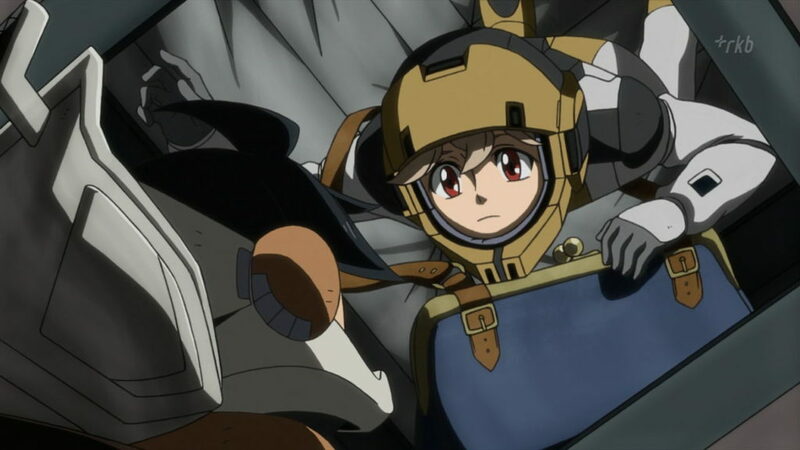 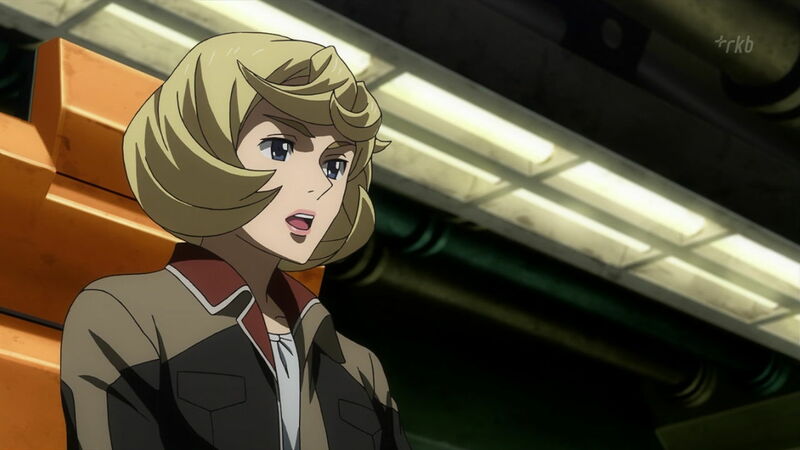 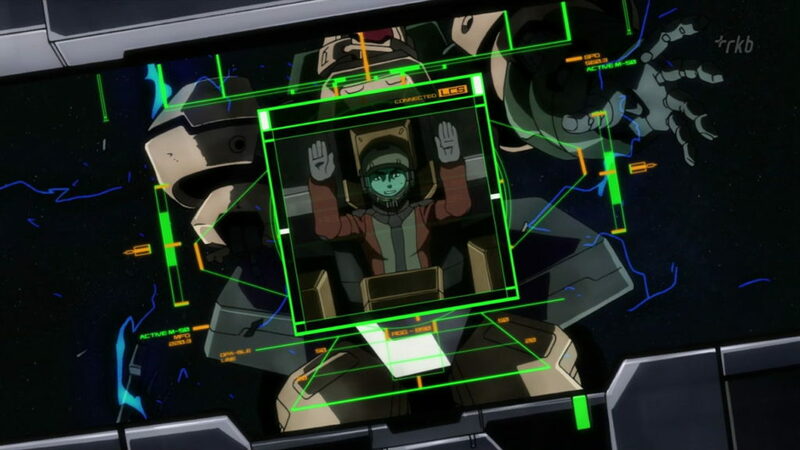 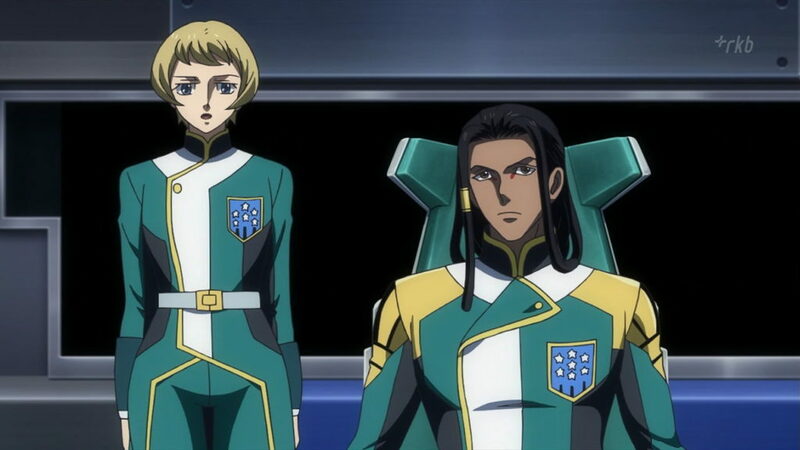 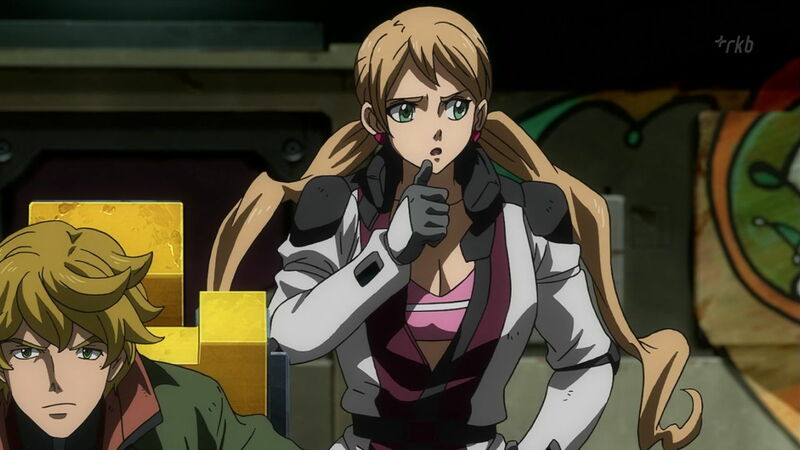 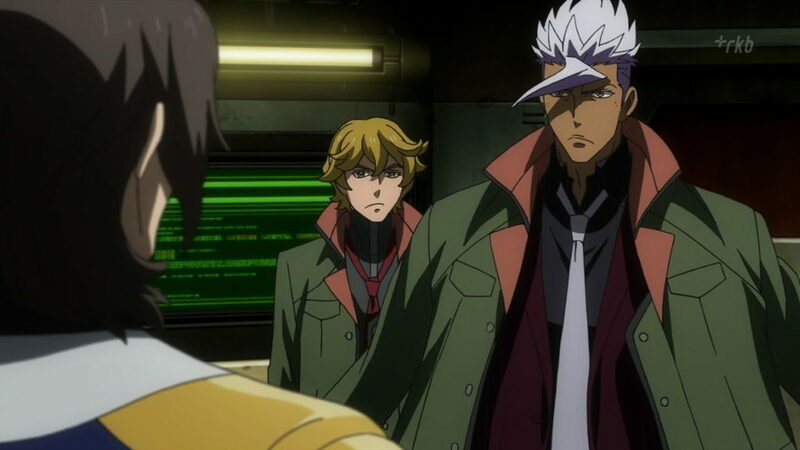 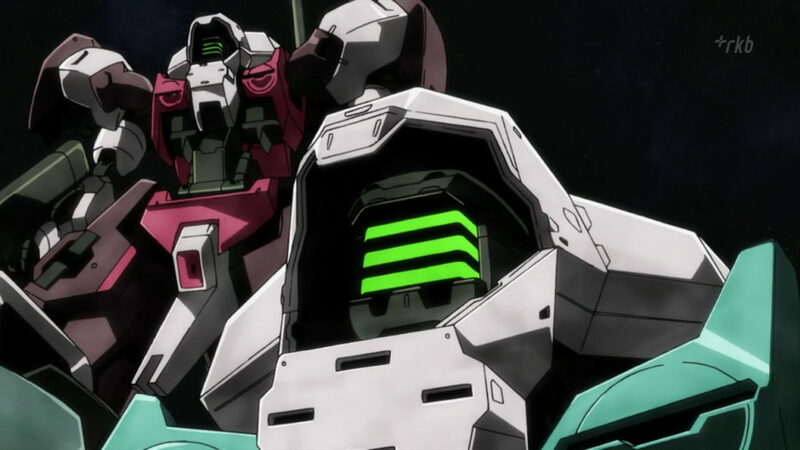 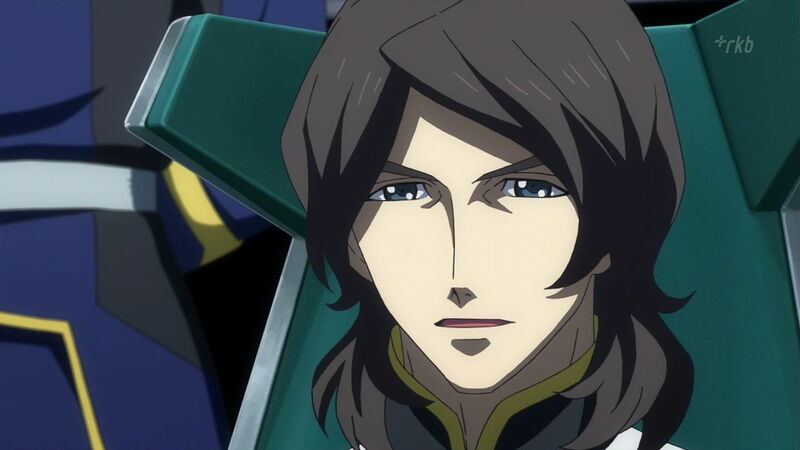 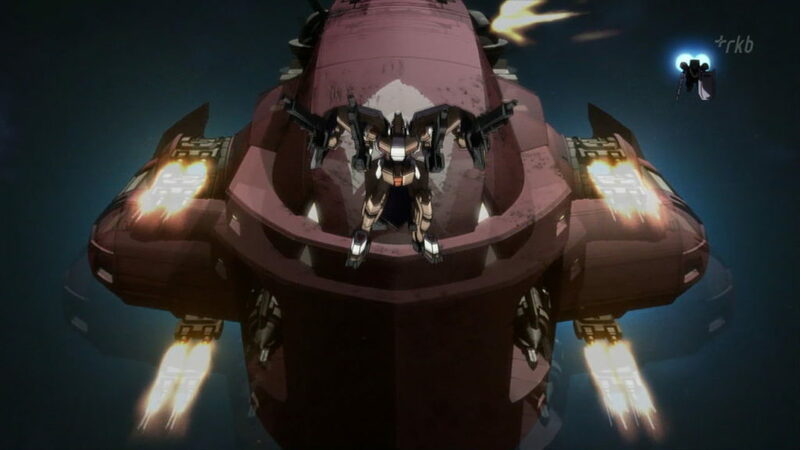 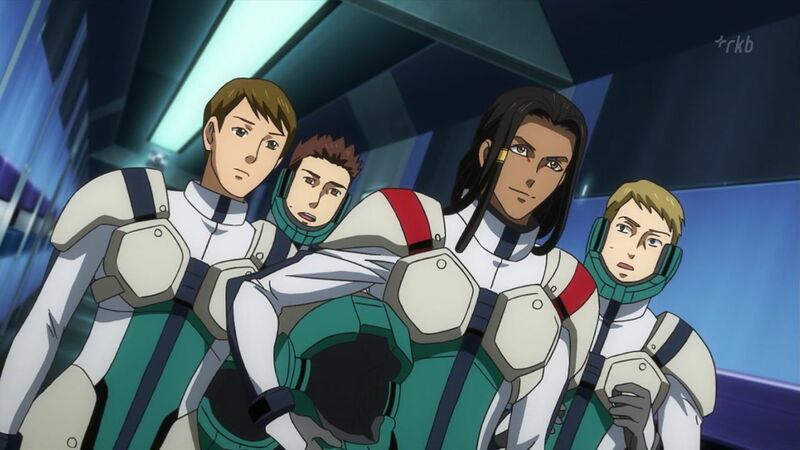 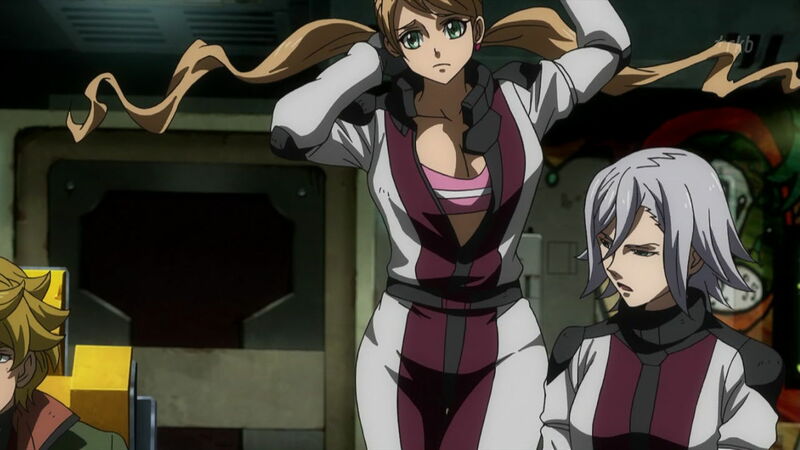 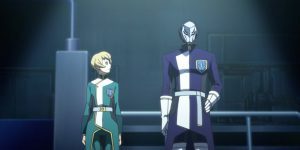 Tekkadan rendezvous with Gjallarhorn to discuss their joint operation to capture the Dawn Horizon Corps leader Sandoval Reuters, but Orga senses distrust when Gjallarhorn sends only one ship instead of a whole fleet. 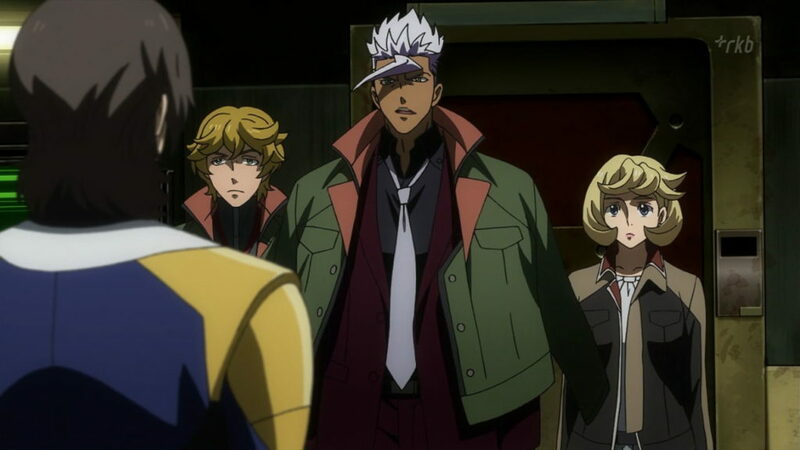 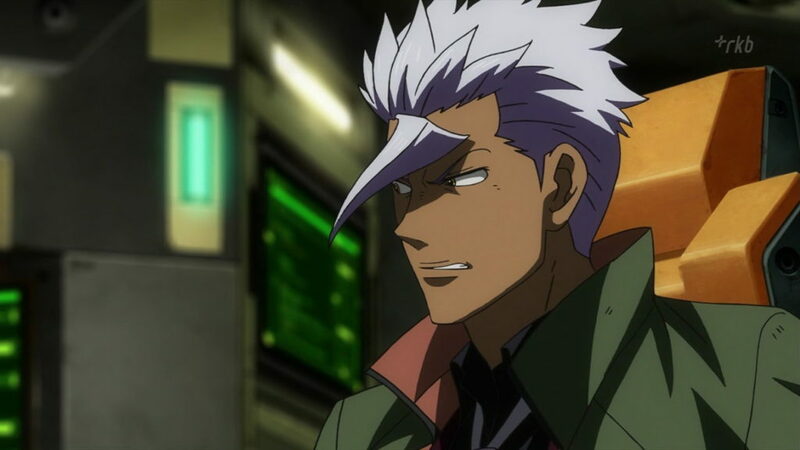 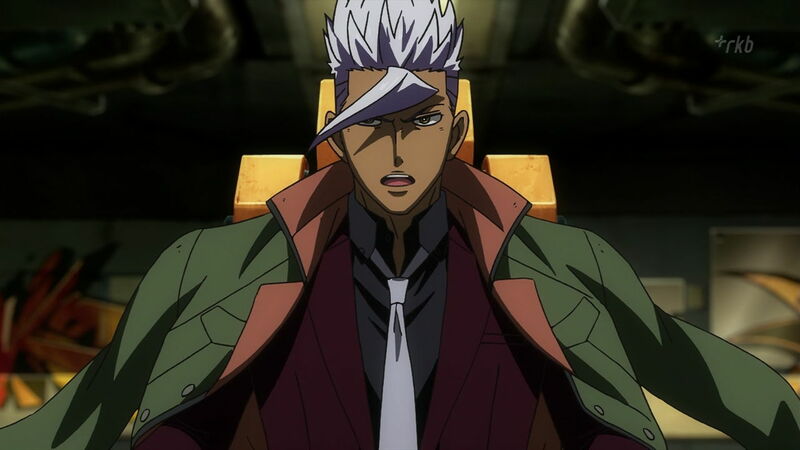 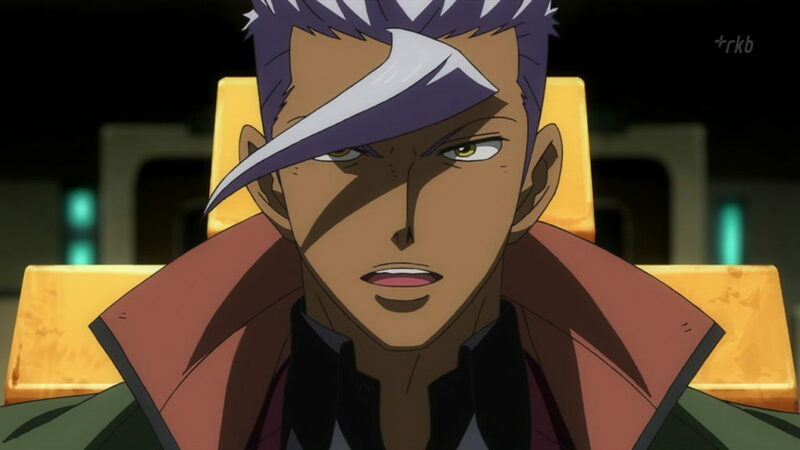 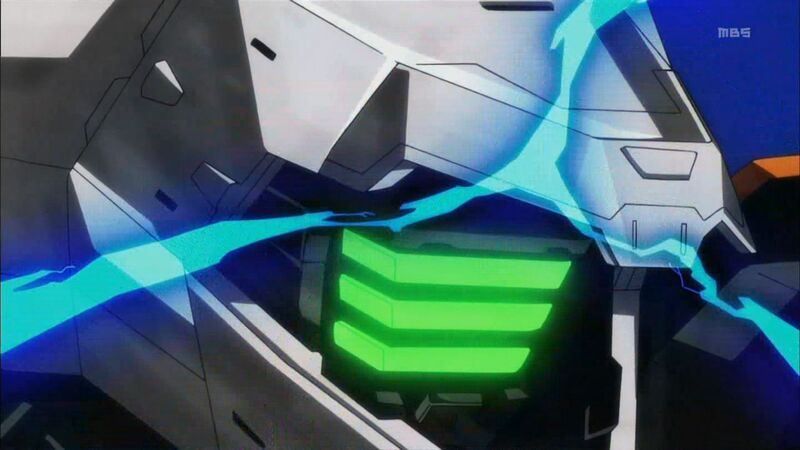 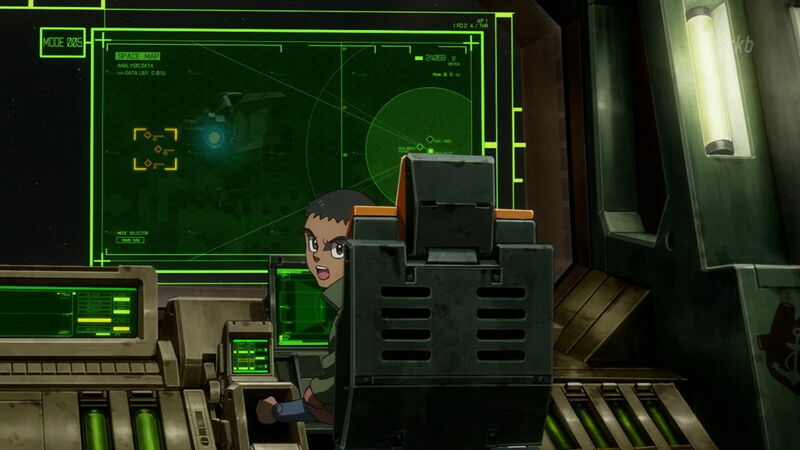 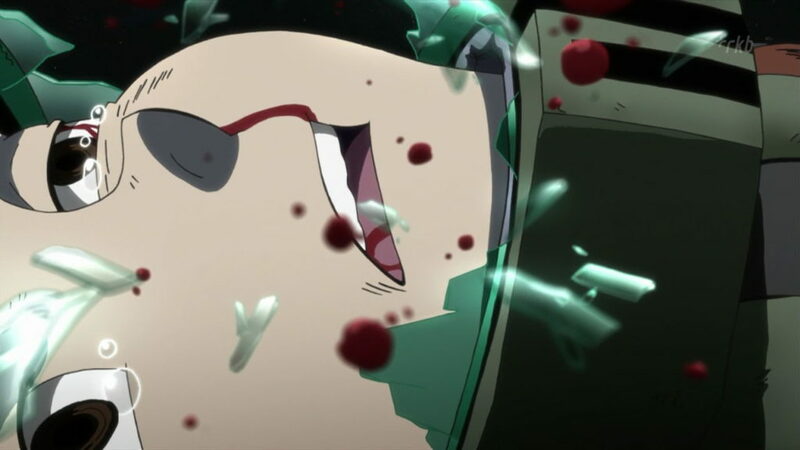 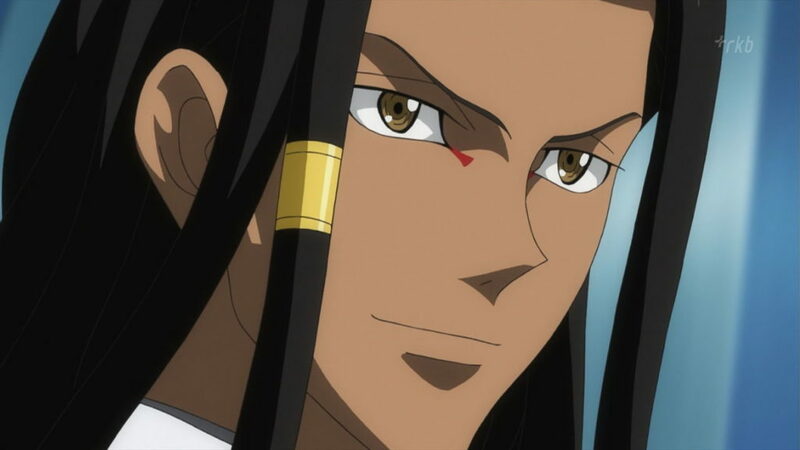 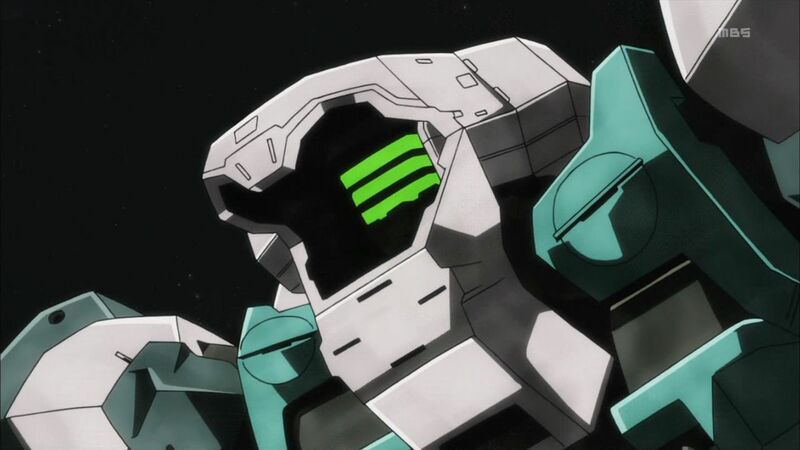 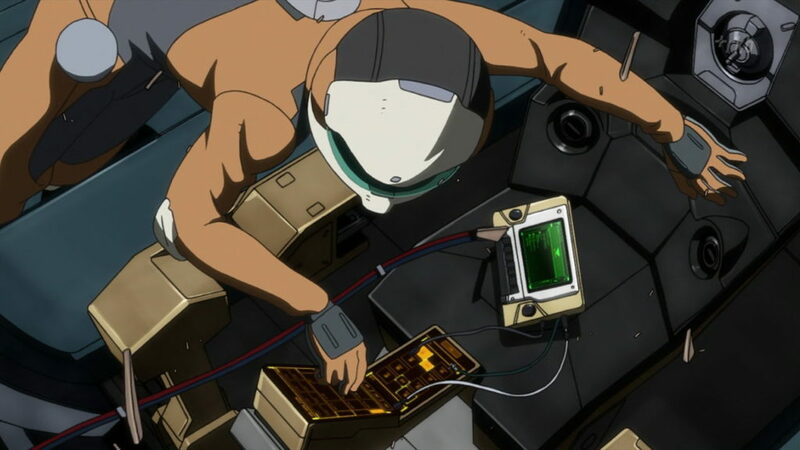 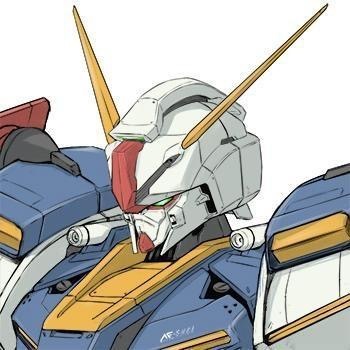 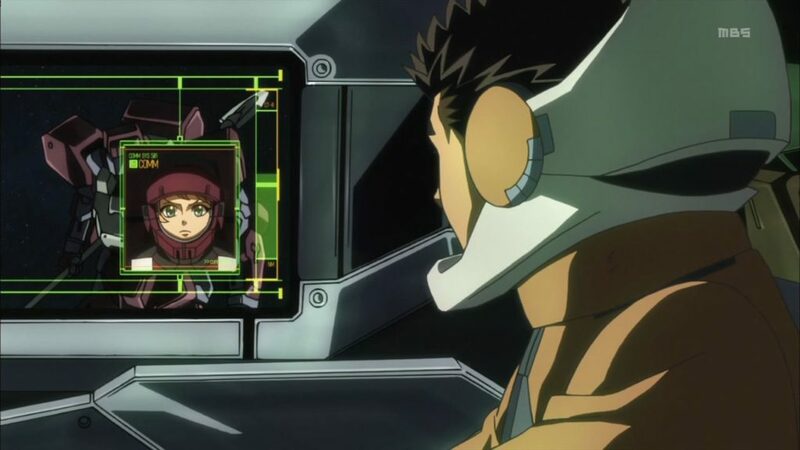 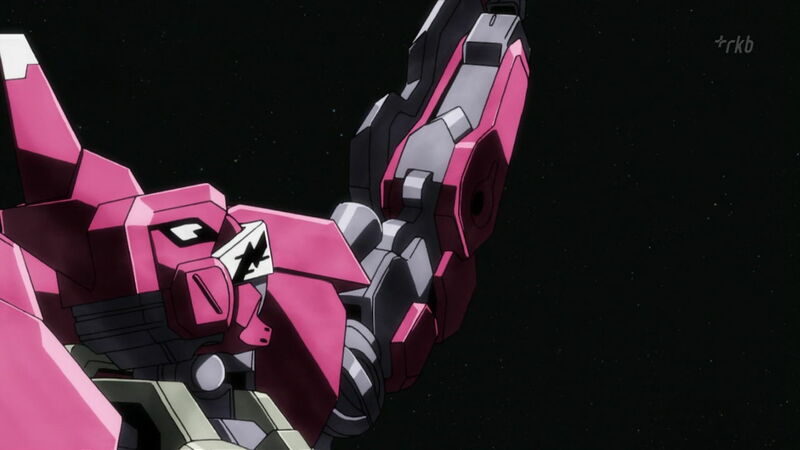 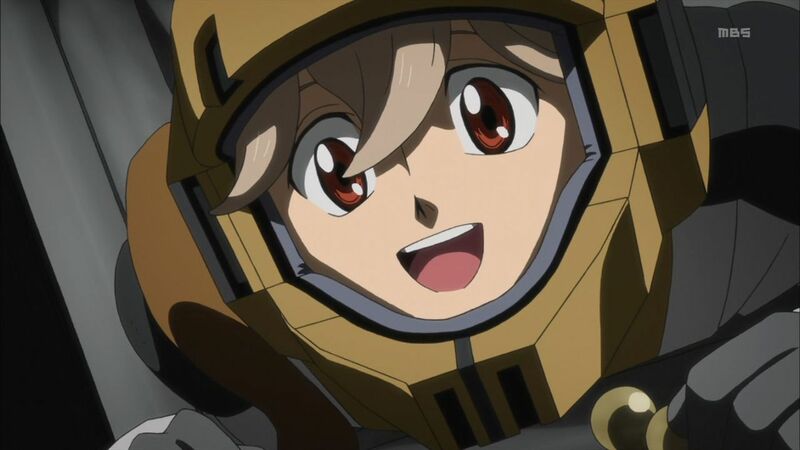 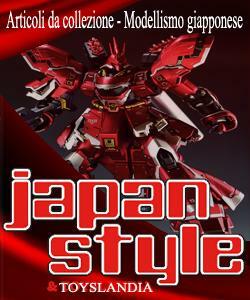 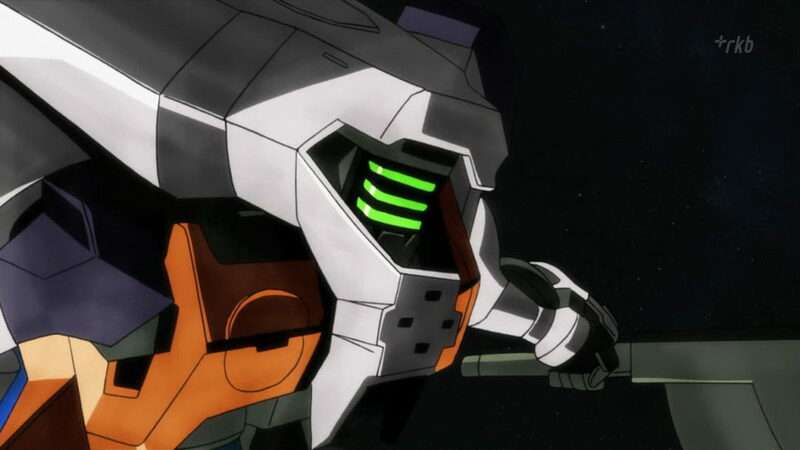 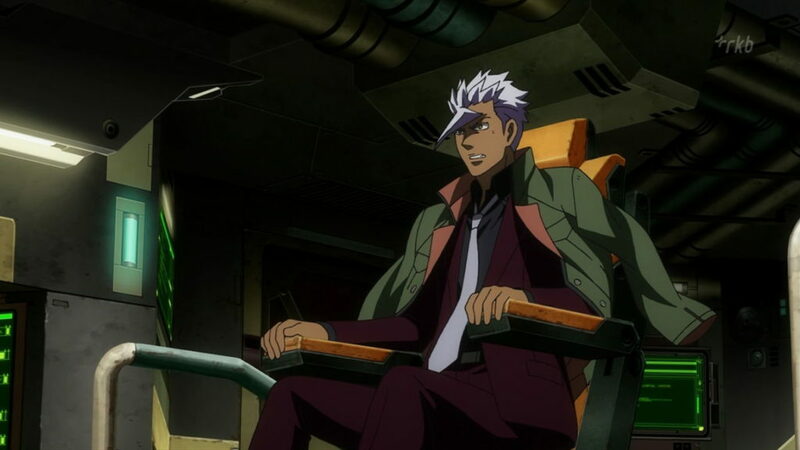 Orga agrees to the mission on the condition that Tekkadan take the lead in the operation. 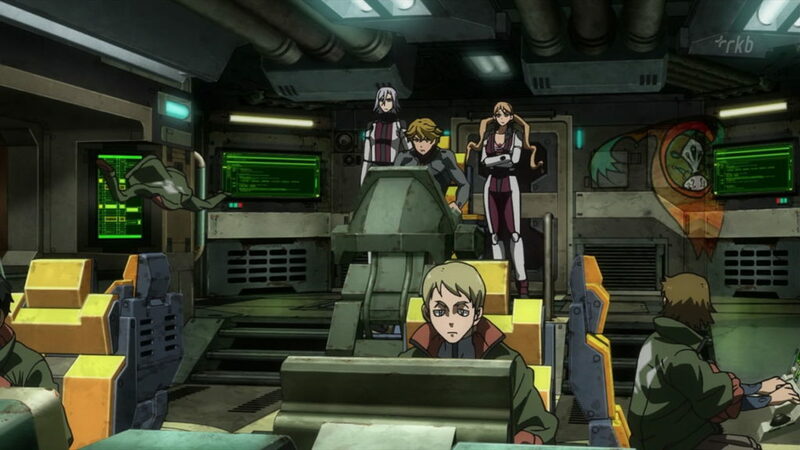 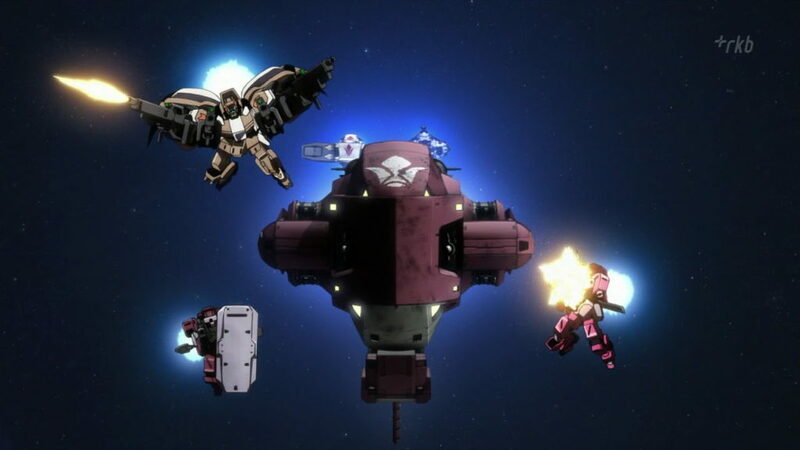 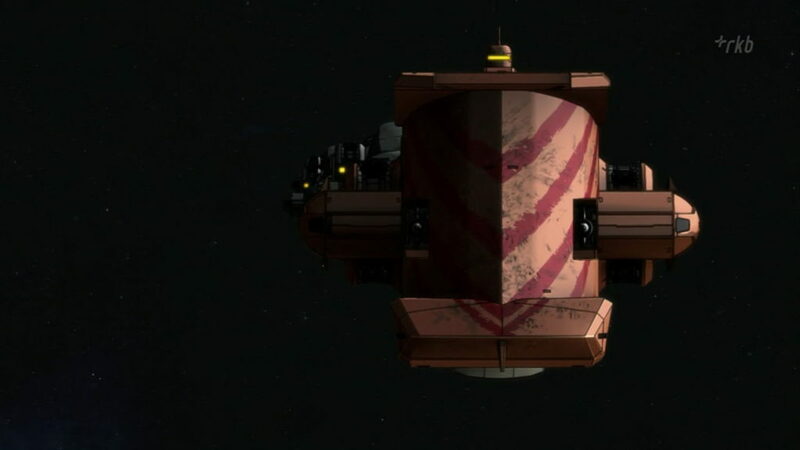 Just as Tekkadan encounter the Dawn Horizon Corps’ fleet, they discover that the pirate faction has outnumbered them by hiding their ships behind the main fleet. 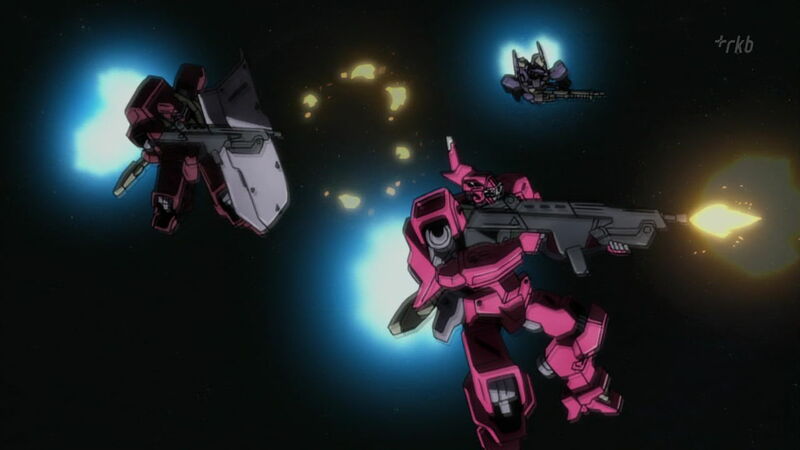 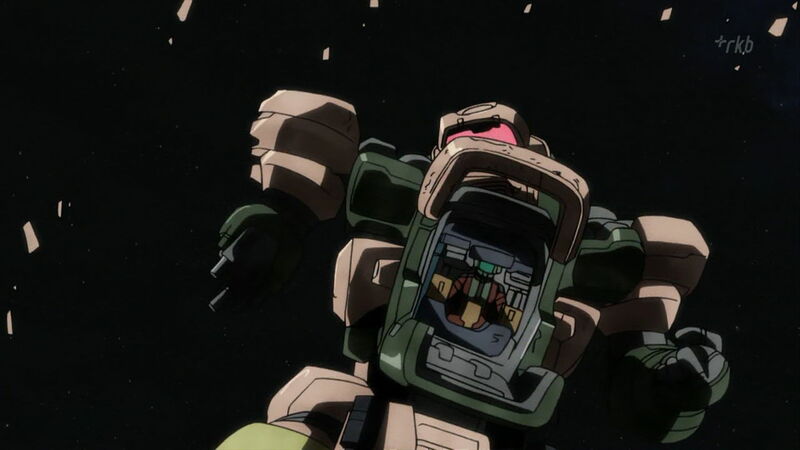 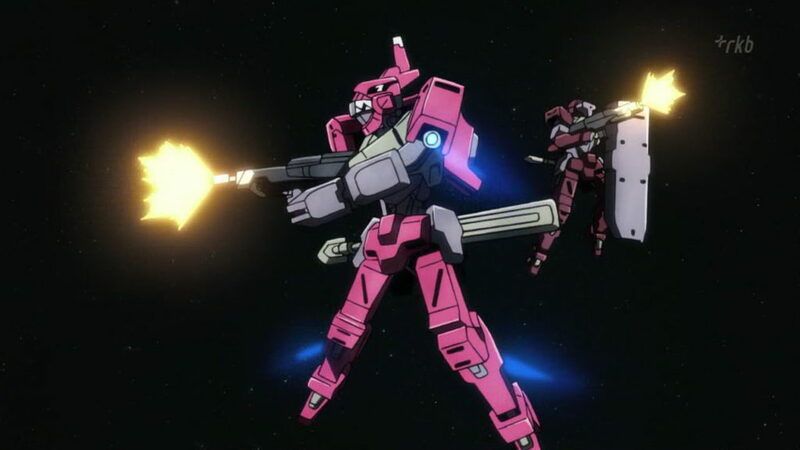 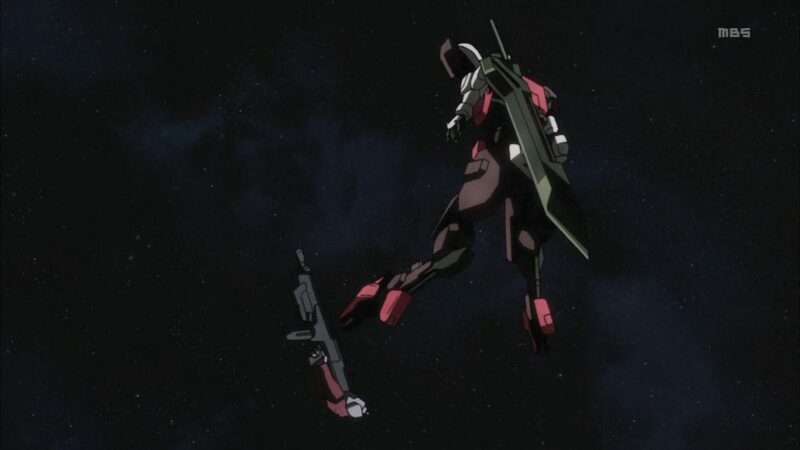 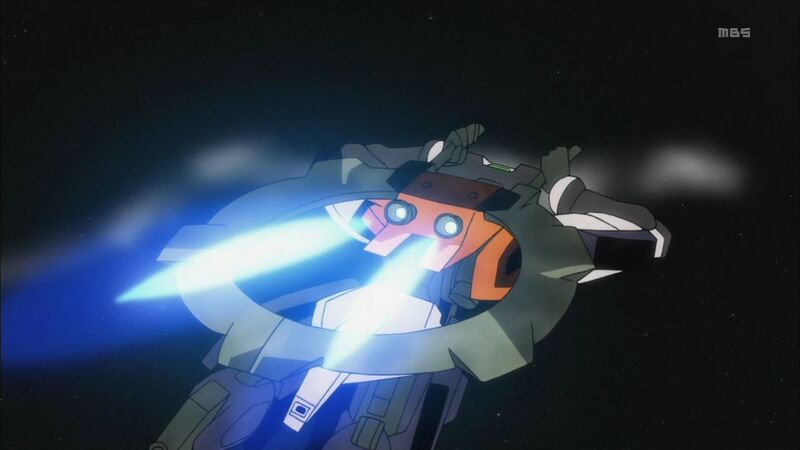 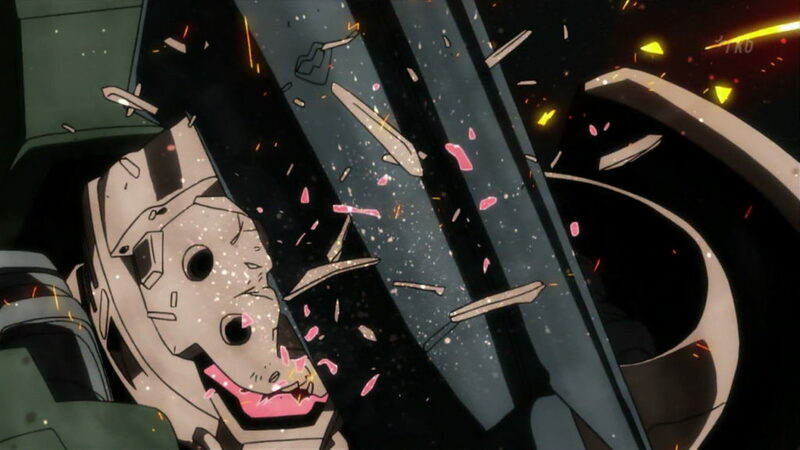 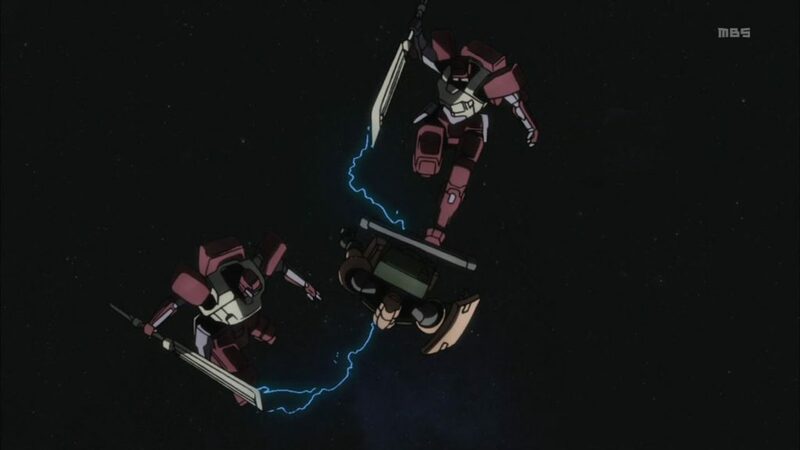 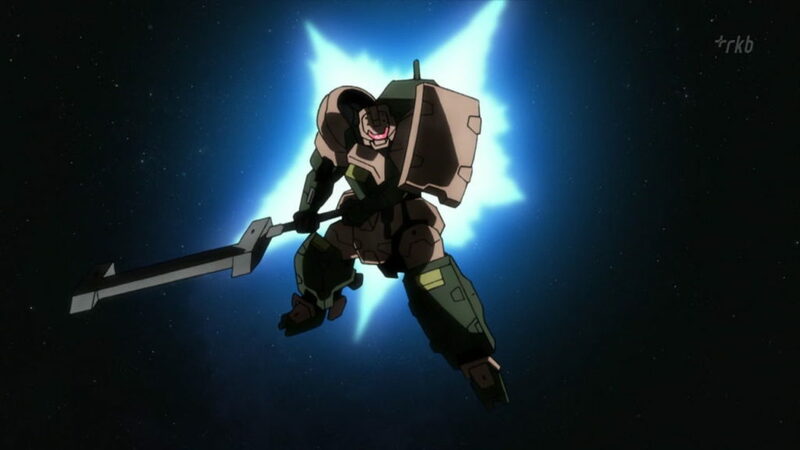 Nevertheless, Tekkadan’s precise tactics and Mobile Suit squadron mow down majority of the enemy fleet, but the Dawn Horizon Corps strike back with Mobile Suits of their own. 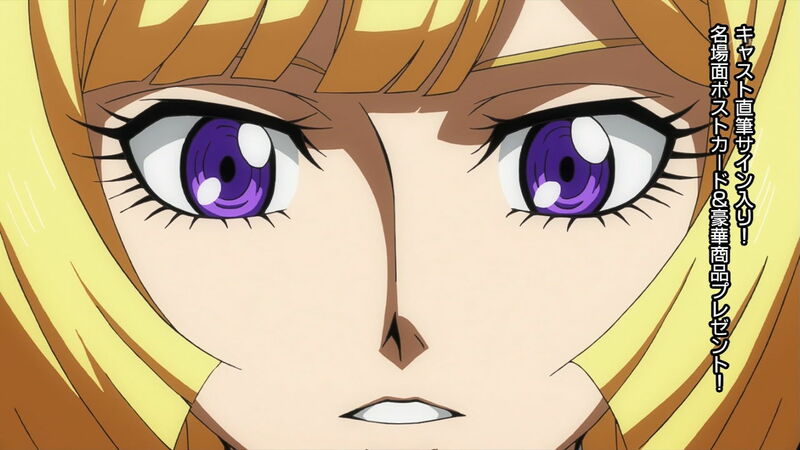 Just as Tekkadan are about to get their hands on Sandoval, Gjallarhorn’s Arianrhod fleet arrives and interferes with the mission.